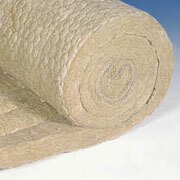 PAROC Marine Wired Mat 80 is a non-combustible stone wool wired mat for fire protection on ships. It is used in A30 and A15 constructions for Steel Decks and A15 constructions for Steel Bulkheads. Maximum service temperature for PAROC Marine Wired Mat 80 is 640°C.